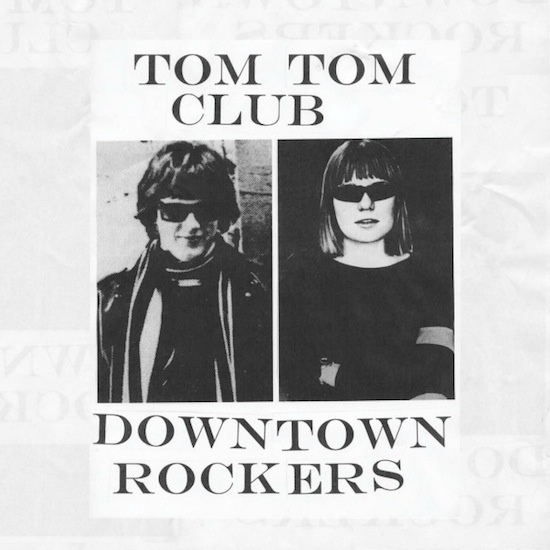 Tom Tom Club, the duo comprising Tina Weymouth and Chris Frantz, founder members of the Talking Heads, are set to release a new EP, 'Downtown Rockers' (artwork above), on March 18 via Edel. Says Frantz about the EP: "We recorded the basic tracks soon after we toured with the Psychedelic Furs in October of 2011 at our home studio. These tracks were built from improvised jam sessions with Bruce Martin on keyboards and Pablo Martin on guitar, Tina Weymouth on bass and myself on drums. This is the same way we began Remain In Light with Talking Heads. This time our only instruction to the other players was to keep the parts simple with lots of space, like Booker T. and the MGs would do. There are some beautiful young kids running around Brooklyn in band shirts from the golden age of CBGBs and Max's, a period that it seems is just as important today as it was back then."